Bow Tie. 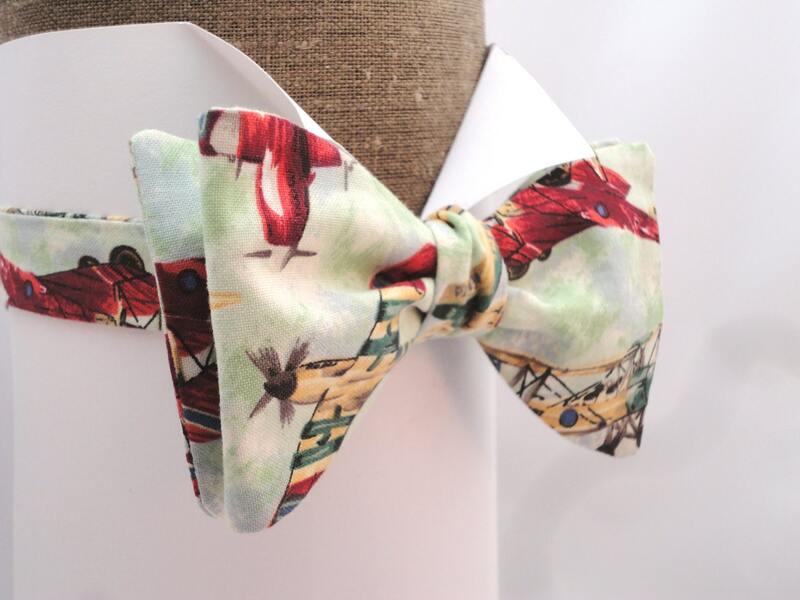 Men's Bow Tie. 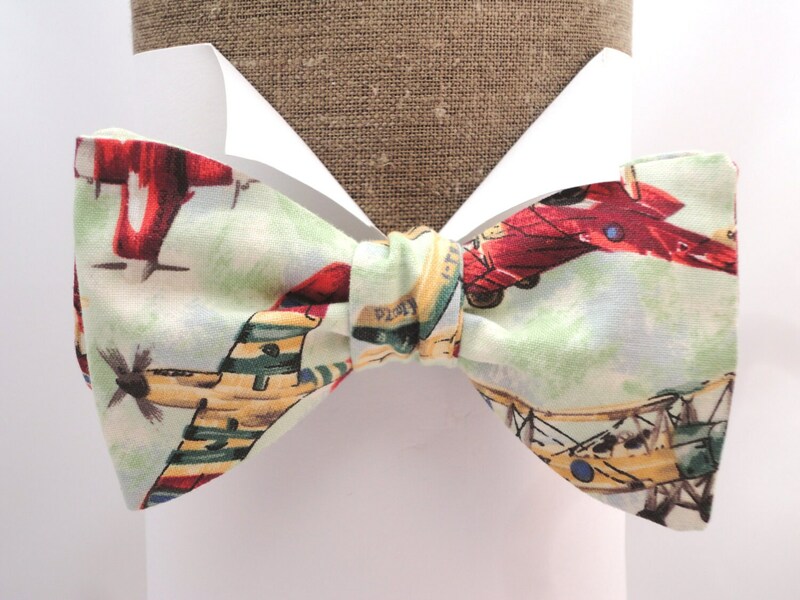 Aeroplane print self tie or pre tied bow tie made in 100% cotton with an adjustable neck band. 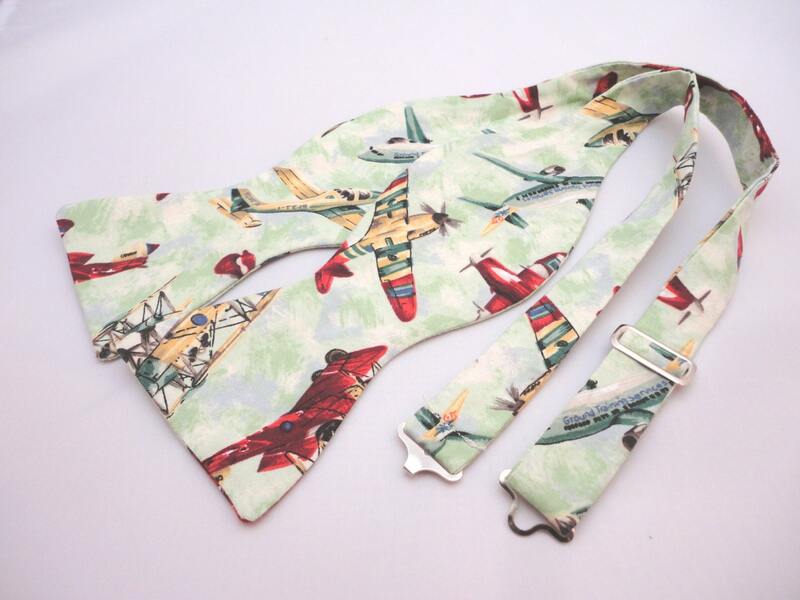 Aeroplane print self tie or pre tied bow tie on a pale mint background, made in 100% cotton on an adjustable neck band.